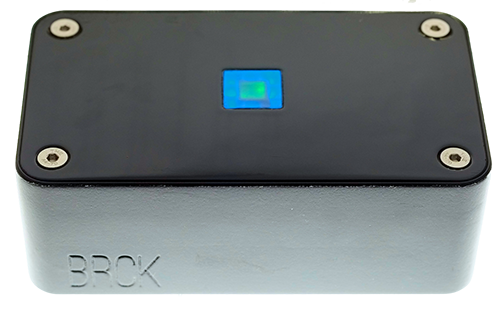 The BRCK is a device meant to be physically robust, able to connect to multiple networks, a hub for all local devices, and pack enough backup power to survive a blackout. With BRCK, the Ushahidi team wants to build a tool that can work for Africa, and also be useful globally. Early builds of the device were created by Erik Hersman and Jon Shuler. Brian Muita and the rest of the Ushahidi team in Kenya created the firmware that system would use. After several adjustments to the prototype, the team went on mill a body for the device at University of Nairobi’s FabLab. BRCK has redundant power supply, failing over to an 8-hour battery pack when there is no AC power. Internet connection is supplied through an Ethernet port with a backup connection from mobile networks through 3G or 4G. It can provide WiFi for up to 20 devices. It has a simple setup interface although the creators admit that the router setup still needs some work. Power status and internet use can be monitored from dashboard provided by the device software. The device has access to a marketplace from which you can load free apps and services. Other BRCK users around the world can also offer their own creations through the marketplace. The BRCK cloud provides a global APN database allowing the user to connect and log in to the device from anywhere in the world. The user can then load apps and services such as a VPN or Dropbox and control other devices connected to the BRCK. The Ushahidi team plans to create a highly portable mini-server out of BRCK by integrating it with a Raspberry Pi and 16 GB of storage. In future users will also be able to stack components under the BRCK including an additional battery pack, a temperature sensor and solar chargers. A full list of the device specifications are available here. More information on their kickstarter page.